Nowadays, there are a lot of things that you can actually do on your Mac. You can either play games with it, save important files or merely just browse the internet using your Mac. And you use your Mac for a longer period of time, then you actually save a lot of data in it and as well as files, caches, and junks that you no longer need in your Mac. That is why you will be needing a powerful tool that you can use for you to clean up your Mac, free up some space, and as well speed up the performance of your Mac device. And with that, we are going to review you two of the best Mac Application that can actually help you with all the things that need to be done on your Mac. These two are the PowerMyMac which is powered by iMyMac. And the other one is the CleanMyMac which is powered by MacPaw. The PowerMyMac by iMyMac is one of the Mac apps that you can have on your Mac for you to remove all the junks and other files or applications that you no longer need. It is said to be an all-in-one tool that can help you optimize and as well as clean up your Mac. And for you to have more space on your Mac, all it takes is just a few simple clicks with the PowerMyMac. New Skin - For the latest update of the PowerMyMac, it now comes with two skins that you can choose from when you are using the program. You can choose from Light Mode or Dark Mode. Performance Monitor – The PowerMyMac can serve as a monitor in terms of the performance of your Mac. You will be able to take a closer look at your CPU’s performance, your Memory usage, and how much RAM does your Mac already consume. 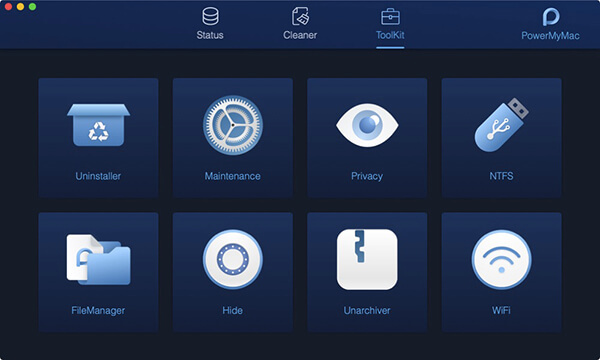 Smart Cleanup – The PowerMyMac has the ability to clean up all the known mess that you have on your Mac safely. This program is said to be smart enough that it can identify the files that can be considered as a litter or not. Memory Retriever – The PowerMyMac has the ability to retrieve more of your Mac’s memory by simply cleaning up all the files that you no longer need. Application Uninstaller – This program has the ability to uninstall any apps that you have on your Mac together with the files that come with the app. Yes, of course! The PowerMyMac is designed to have the best security for your Mac and as well as all the files that you have on your Mac. The PowerMyMac by iMyMac is actually not free to have. But it also comes with a free trial version. This way, you will be able to check on how great the PowerMyMac will work on your Mac device. And thus, you will be getting the same functionality with the free trial version and the paid version. For 1 Mac – You can have it for $19.95 per year license - Lifetime License for $29.95. For 2 Macs – You can have it for $29.95 per year license – Lifetime License for $49.95. For 5 Macs – You can it for $39.95 per year license – Lifetime License for $59.95. There are actually three modules that come with the PowerMyMac. This is where you will be able to see the system status of your Mac such as your Disk usage, CPU usage, and your Memory Usage. In this module, you can choose all the junks that you would want to remove from your Mac. This will not just give your Mac a cleaning functionality, but it can also give you some more alternative wherein you can decide to remove them or not. There are also options under this module. 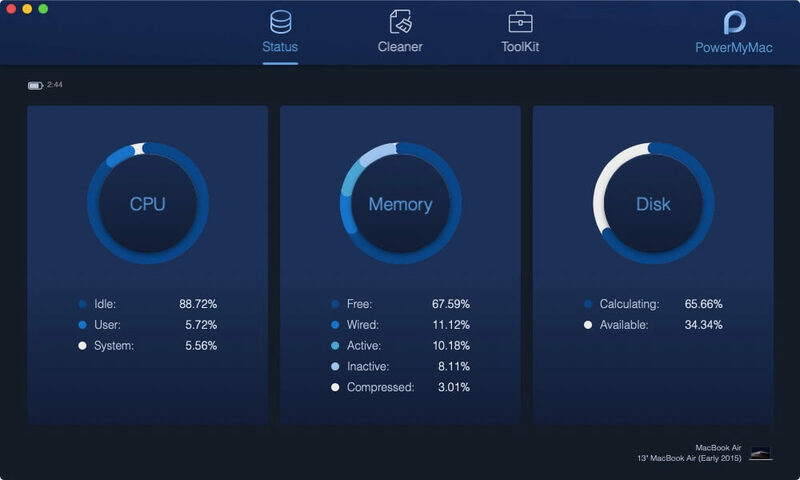 System Junk – clean up all of your System Cache, Application Cache, System Logs, User Logs, and Localization. Photo Junks – this will help you in reducing the size of your photo library by removing photos you no longer need. Email Junks – remove all the local copies of your email downloads and email attachments. Similar Photo – this will help you locating and removing all duplicate photos on your Mac. iTunes Junk – this will remove all of your old iTunes Backup from your Mac. Trash Bin – this will empty out all trash bins available on your Mac for you to free up space. Large and Old Files – this will help you in removing and deleting all the useless large and old files that you have on your Mac. Duplicate Finder – this will help you find all the duplicate files, folders, and as well as photos that you have on your Mac. This is a toolbox that you can actually use on your Mac for you to be able to fix any issues that you are having. And with that, there are eight options that you can choose from under this module. Uninstaller – This option will allow you to uninstall any applications that you have on your Mac and as well as the files that are associated with the apps. Maintenance – It is where you can optimize some of the seldom-used settings that you have on your Mac. This way, you will be able to speed up and improve the performance of your Mac. Privacy – This is where you can clean up your cookies, searches, downloads, and the visits made on your web browser. NTFS – This is a tool where you can use for you to read and write files from HHD, SSD, or from a flash drive that is formatted under Windows. File Manager – this is where you can view all the detailed information of the files that you have on your Mac and at the same time remove them completely from your Mac. Hide – This is where you can hide or encrypt your file. Unarchiver – this is used for you to compress or extract files such as .rar and .7z on your Mac. WiFi – this is where you will be able to check on your Wi-Fi information such as your password and your username. You can also have your connection tested by conducting a speed test. CleanMyMac by MacPaw is considered to be a maid that you can get for your Mac. It is because it keeps your Mac uncluttered so that your Mac will be able to run smoothly. As you know, all the temporary files that you have on your Mac is actually one of the causes as to why your Mac may run slow. It is because since you have a bunch of temporary files that you do not remove on your Mac, then the slower your Mac gets as its memory becomes full. And with that, the CleanMyMac offers you to get its complete tool for you to be able to deal with the problems that you are having on your Mac. CleanMyMac X is known to be the latest version of CleanMyMac by MacPaw. It is described with some various descriptions such as it has the instrument to supercharge a Mac device. Some describe it as the powerful and beautiful application that will be able to help you in keeping your Mac clean, faster, and as well as protected. If you are going through its website, you will be able to see that this program can locate and remove any large and hidden files on your Mac. It can also update, uninstall, and reset the application on your Mac. It can also clean up the browser and your chat history. And lastly, it can also quit apps that hung and those who are a heavy CPU consumer. Definitely, yes. This is from a security perspective and thus it is very much safe to use. The application will also allow you to delete files from your hard drive for you to be able to fee up space. Using the CleanMyMac X will not let you remove any important files that you have on your Mac unless you are the one who chooses to delete it from your Mac. Is CleanMyMac X Free to Have? The CleanMyMac X application is actually not a free app. However, it comes with a free trial version. This way, you will be able to get to experience how the CleanMyMac X work for you. This way, you will be able to make sure that you are going to have the application that you really need before spending your money. And once that you are satisfied with how the CleanMyMac X works for you, then you can opt to buy it on a one-time purchase or you also have the option to subscribe to the program for a year. The cost of the CleanMyMac X will actually depend on the number of Macs you are planning to have the application on. For 1 Mac – you can purchase it for $89.95, subscribe for $39.96 per year. For 2 Macs – you can purchase it for $139.95, subscribe for $59.95 per year. For 5 Macs – you can purchase it for $199.95, subscribe for $89.95 per year. The CleanMyMac X is said to be updated every three to four years, that is why purchasing it outright can make financial sense. The upgrade cost 50% of the normal price wherein purchasing it can make it more attractive. The CleanMyMac X has the ability to let you free up space on your storage. This is by removing all the files that you no longer need on your Mac such as your junks. And some of the features that you can use to free up space on your Mac are the following. System Junk – this is where you remove all the temporary files that you have on your Mac. Photo Junk – This is where you will be able to remove all the photos that you actually do not need any more on your Mac as these photos take up a lot of space on your mac. Mail Attachments – The mail attachments that you have on your Mac can be large or small. And once that they were all combined, they will be summed up to take a huge space on your Mac. iTunes Junk – This is where you can remove all the old iTunes backup that you have on your Mac. 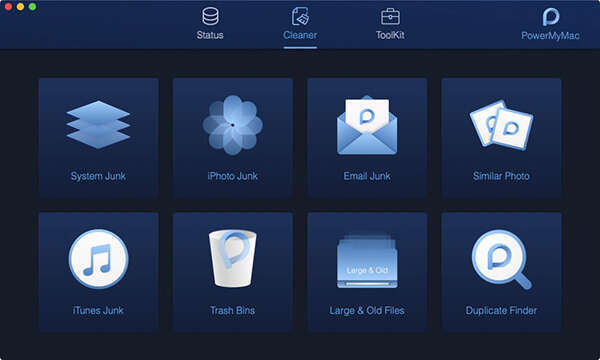 Trash Bin – This is where you will be able to empty out your Trash on your Mac. This is one feature that the CleanMyMac X have which actually helps you in protecting your Mac from any possible malware that can harm your device. You can find here two options that you can use. Malware Removal - This is an option that you can use for you to scan your Mac to check for any malware activities and at the same time remove them from your Mac. Privacy - This will allow you to remove any sensitive information such as your browsing history, autofill forms and chat logs that you have on your Mac. This way, your Mac will be compromised by hackers. Once that you feel your Mac is getting slower, then the CleanMyMac will be able to help you in speeding up its performance. And the features that you can use under this module are the following. Optimization - Over time, applications on your Mac may start some background processes that can run continuously on your Mac. And with the CleanMyMac X, it can help you in identifying them and will give you an option whether you would want to run them or not. Maintenance - This feature will help your Mac to maintain its health for you to be able to have a better experience in using your device. The applications that you have on your Mac can actually leave a mess most especially when you are uninstalling a certain application. That is why CleanMyMac X is here to help you in cleaning up any residual from your apps. Uninstaller – which allows to uninstall applications on your Mac and get rid of the apps residual. Updater – this will allow you to update any applications that you have on your Mac. This is where you will be able to manage the files that you have on your Mac. Large and Old Files – wherein you can find all the large files that you have on your Mac. Shredder – this is a tool that you can use for you to remove any files that you no longer need from your Mac and can no longer be recovered by any application. So there you have it! Those are the two of the best Mac Application that you can choose from. You can now have them compared with each other and choose which is the one that will best suit you.